The sight of a needle and blood can make even the toughest guy feel squeamish, but donating the elixir of life can help save lives. So man up! 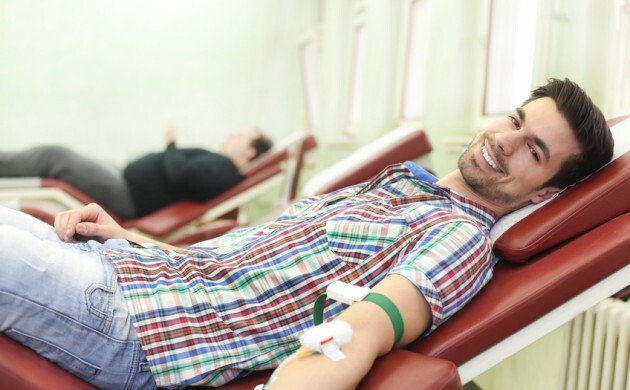 In Denmark the vast majority of blood donors are women – just one third are men – and the capital region’s blood bank organisation GivBlod is hoping to change that trend. “It would make a difference to patients in Danish hospitals who are desperately lacking blood,” Merle Wiborg Romose, a spokesperson for GivBlod, told Metroxpress newspaper. Romose said that donated blood was used all the time in hospitals, from car accidents to critical C-sections, but most is used treating cancer patients. And men are actually better suited to donating blood because they have a greater blood volume due to their generally larger size – they don’t need to take breaks from donating like women do during pregnancy, for instance. To become a blood donor, you should be healthy and aged 17 to 67. It is generally advised that you can donate blood four times a year. All blood donors in Denmark must be able to read and speak Danish in order to ensure there are no misunderstandings between donors and the blood-collecting staff. Foreigners who do speak Danish must also have lived in Denmark for a minimum of one year and be in possession of a Danish social security number. According to GivBlod, Nordsjællands Hospital in Hillerød in north Zealand is in desperate need of blood and plasma donors at the moment, but donors are also needed everywhere in Denmark. Sign up to be a blood donor here (in Danish).